The building products industry encompasses a wide range of sectors, including HVACR, lighting, plumbing products, wood products, insulation, windows & doors, and glass. In recent years, increasing global urbanisation has led to a heightened urgency to create efficient environments able to fully support occupants’ well-being and productivity. This, combined with a strong consumer confidence environment, will continue to drive growth in the industry. 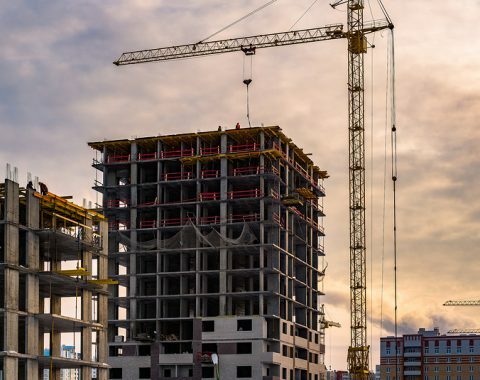 Recently, the industry has seen a trend toward “greener,” more sustainable construction as governments, private businesses, and consumers have begun to recognise the role buildings play in energy, water, materials and other resources usage; greenhouse gas emissions; and the safety, health and productivity of citizens. As a result of these concerns and the advance in building-related technologies, many nations now seek to create “smart” building environments that maximize efficiencies and create healthier, more environmentally friendly living spaces. 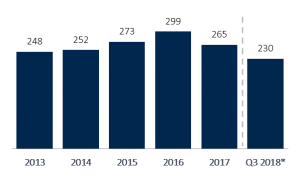 Merger and acquisition deal activity reached a post-recession high in 2016 and is on pace to exceed that total in 2018. The majority of deals occurred in the US, France, and the UK, with other developed European markets seeing significant deal activity in the space. To read more about the sale of CPM to Marshalls Plc – click here.